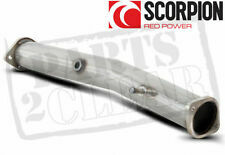 TOTAL LENGTH 130mm (5.1") CARBON PART 91mm (3.6"). TO FIT VARIOUS CARS WITH A 63mm OUTER EXHAUST SIZE. TO FIT VARIOUS CARS WITH 63mm OUTER EXHAUST PIPE SIZE. BMW M SPORT PERFORMANCE AKRAPOVIC UNIVERSAL CAR EXHAUST TIP. 1 x SINGLE BLACK GLOSS CARBON TIP WITH CLAMP. STRAIGHT EDGE CUT STYLE TIP AS PER PICTURES. TO FIT VARIOUS CARS WITH A 63mm OUTER EXHAUST PIPE SIZE. Car Styling 2pcs outlet76mm Akrapovic carbon exhaust tip double muffler exhaust pipe. 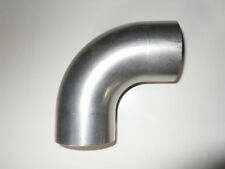 Inlet pipe is sized to fit over an existing 60mm tail pipe. Two 76mm outlets making a total of 163mm width at the widest point for the twin outlets. The sporty look is rounded off by tailpipe trims in Carbon that include the Akrapovic logo. Akrapovic Sports Exhaust System for S6 and S7. Specially designed for the sporty, high-performance Audi S6 Saloon/Avant and Audi S7 Sportback models, the new sports exhaust system from Akrapovic is made from titanium with tailpipe trims in Carbon, delighting drivers and passengers with a powerful sound experience – particularly in the high rpm range. AKRAPOVIC Carbon Fiber Tail Pipe Exhaust Tip. Auto car universal end Pipes. Inlet63mm-Outlet89mm(Dual). Light weight and durability ,high quality of Stainless steel. Ensures a sound and a unique look to your car. The best existing drain in the world for 500 Abarth and 695 Competition! Drainage system designed specifically for 500 to ensure the highest levels of performance. Possibility to install wireless kit to by pass the expansion and create a more sombre and direct noise. 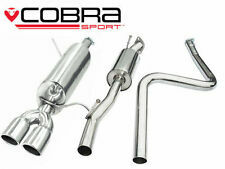 The best existing exhaust in the world for 500, 595 and 695 Abarth ! Drainage system designed specifically for 500 to ensure the highest levels of performance. Grants < span class = "notranslate" > : 4 Hp in addition to < span class = notranslate ' > 4,100 rpm-5 Nm of torque increase to < span class = notranslate ' > 3,860 rpm-3 kg of lightening. Y Model Dual Carbon fiber stainless steel universal Auto akrapovic exhaust tip Double end pipe for bmw benz vw golf. Type Muffler. Mounting Position Rear. You should doublecheck the size before you decide to place order. Mini Mini Cooper S (R57) 1.6 Convertible Cooper S Petrol FWD 2010 ». Mini Mini Cooper S (R57) 1.6 Convertible Cooper S Petrol FWD 2009 ». Mini Mini John Cooper Works (R57) 1.6 Convertible John Cooper Works Petrol FWD 2008 ». Akrapovic Slip-On Line (Titanium) CAYENNE 958 S / TURBO REAR BOX. The computer-designed Slip-On exhaust system with optimal exhaust-gas flow has been created to produce a deep, aggressive racing sound. This fully titanium mandatory part is necessary for Cayenne models for mounting the M-PO/T/1H Slip-On exhaust system. In order to satisfy the most discriminating tastes, we’ve created handcrafted carbon fibre tailpipes. To make our tailpipes stand out from the rest even more, in addition to selecting the finest materials, we also made them larger. AKRAPOVIC Carbon Fiber Tail Pipe Exhaust Tip. Auto car universal end Pipes. Inlet76mm-Outlet89mm(Dual). Light weight and durability ,high quality of Stainless steel.